Gardens are where children's imaginations engage nature, and the result is joyful learning. Gardening helps children develop an appreciation for the natural world and build the foundation for environmental stewardship. 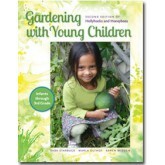 This book is packed with information and inspiration to help you immerse children in gardening and outdoor learning experiences—green thumb or a perfect plot of land not required. Learn how a gardening curriculum supports learning and development across all domains. You'll also find heaps of suggestions for planning, planting, and caring for a garden suited to your unique setting, such as container gardens, raised beds, in-ground gardens, gardens grown vertically on a wall or fence, and even rooftop gardens. 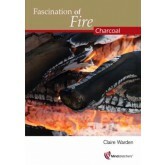 • Resources to help your garden flourish, seed and garden supply lists, information on poisonous plants, and books about gardens and garden creatures. Leave your fears of science behind! 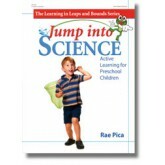 Respond to children's natural curiosity with over 600 teacher-created, classroom-tested activities guaranteed to teach your children all about science while they are having fun. 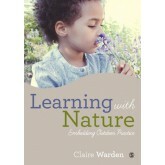 This new book is full of helpful ideas and insights from people enjoying Certified Nature Explore Classrooms throughout the country. 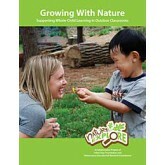 Engaging stories and photographs illustrate ways to help infants, toddlers, preschoolers and elementary students discover the wonders of nature while strengthening foundational learning skills. 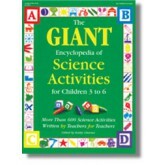 This book provides everything you need to teach important science and literacy skills to children in exciting ways. These food-based activities are developmentally appropriate and provide a hands-on tool that will inspire children's curiosity and learning. 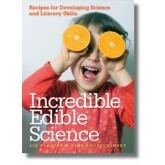 It includes an overview of brain development and educational theory; tips on getting organised; cooking safety and health guidelines and emphasises the six basic science process skills - observing, classifying, communicating, measuring, inferring, and predicting. 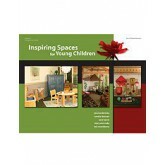 Inspiring Spaces for Young Children invites teachers to enhance children’s educational environments in a beautiful way by emphasizing aesthetic environmental qualities that are often overlooked in early childhood classrooms, such as nature, colour, furnishings, textures, displays, lighting, and focal points. 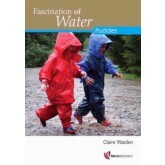 This book brings science to life by helping children learn about their bodies, animals, seasons, and the weather in active and fun ways. 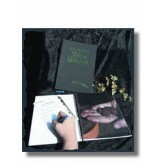 Activities are organised by level of difficulty, require few or no materials and include related children's books or music to extend the learning. Dont throw it away - use it for play! Turn items headed for the rubbish into fun, educational, and safe toys and activities for young children. Find one hundred creative and clever ideas re-purposing common household objects - including shoeboxes, fabric scraps, plastic lids, and buttons -into entertaining playthings. They benefit children's early learning by promoting sensory perception and development in physical; social and emotional; cognitive; and language and communication areas. 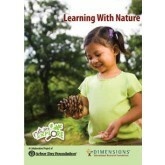 The Learning With Nature DVD provides examples of Nature Explore Classrooms that have been designed around the country. Discover techniques for using outdoor classrooms as an integral part of preschool and elementary children's daily learning. See how well-designed outdoor spaces facilitate children's overall development in traditional academic areas. As you watch footage from a variety of settings and hear stories from educators, you will gain new insight into ways to help children make deeper connections with the natural world. 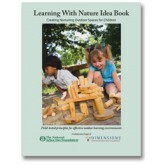 The Guiding Principles from the Learning With Nature Idea Book provide a foundation for creating nurturing outdoor spaces for children. 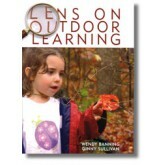 These field-tested principles for effective outdoor learning environments give you practical ideas for using nature as an integral part of children's learning whether you are adding natural components to an existing outdoor classroom, or designing a new space. 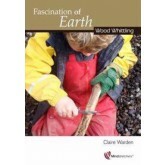 Packed with colourful photographs and detailed stories about children exploring and experiencing nature, this book will inspire you to facilitate and encourage children's learning as they spend time in nature. 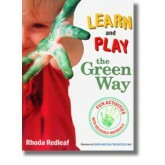 Each story describes how children naturally explore and create their own learning experiences outdoors.